Great start to a trilogy. 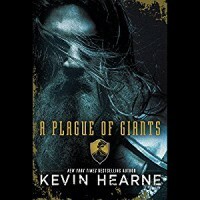 A Plague of Giants is the first book I have read by Kevin Hearne and I fell in love with the story and the author. It is high fantasy, and the first book of a proposed trilogy. The author used a unique way to tell the story, one you will either hate or love, and it worked so well. The story is about two invading forces of Giants, one in the north and one in the south. They invade the land of Teldwen, made up of six nations. This invasion has become known as the Giants’ War. The story is told by Fintan, a Raelech bard, who has been gifted with magical powers (called a keening) that allows him to project his voice across vast distances and gives him an eidetic memory to be able to recall all the details of an event so that he can accurately relate the event. In addition to his keening, Fintan uses a seeming stone that allows him to take on the persona of anyone he wishes. He uses this technique to hold his audience spell bound as the story of the Giants’ War unfolds from the view point of the various individuals he has meet during his travels. Each new persona has a different story to tell that makes up the whole of the Giants’ War. Fintan tells the story over numerous days to the people who have lived through the war and are now assembled on Survivor’s Field. Some of the personas the bard assumes are not always cast in the best possible light. This has created problems for himself and the scribe, Master Dervan, which accompanies him in order to record and preserve the story. There is a lot going on in this book since it has many points of view (11 in all… I think) and you must read carefully to fully understand what is going on. At first, it was a lot to absorb, but as I got deeper into the story all the pieces started to fit together and I could not read fast enough. I loved the complexity of the story though I acknowledge that it will not appeal to everyone. The world building is outstanding and this is a must for me. The prose was also really good and despite the length (over 600 pages) it read like a much shorter book because I become so immersed in the world that it felt like the pages turned effortlessly. 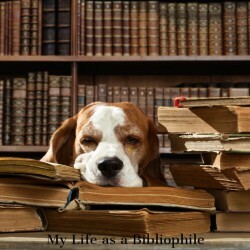 In short, this is my kind of book. I am already looking forward to the next book in the series. I hope it is not a long wait. I recommend this to all loves of epic fantasy. The story is sure to entertain you.